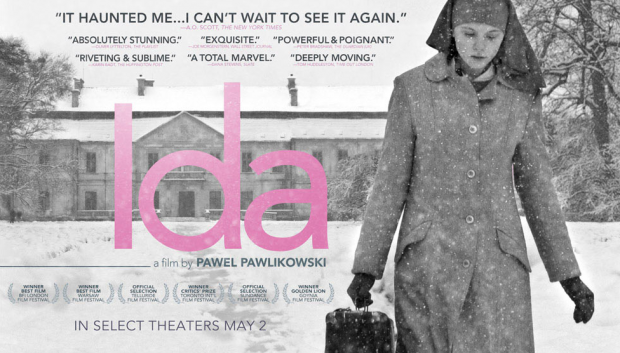 “Ida”, the best looking film so far this year, is the bittersweet story of a young woman named Anna living in a convent in Poland, waiting for the day when she will take her vows. Before that can happen, a Nun asks her to visit her aunt, the only known relative she has. During that visit she learns that her parents were Jewish and died during the events of WWII. Anna wants to know where they are buried, and so goes on a road trip with her aunt to their old family home to find answers. The journey opens her eyes to the joys and also sorrows of the world as she struggles with coming to terms with the past, present and her future. She now must decide whether she should stick with her devotion to god and err on the side of tranquility and solitude; or to live the life her mother couldn’t, risking pain and loss but possibly finding love and freedom. It is an already beautiful story made more so through gorgeous cinematography and imagery. The sort that says more in each frame than its dialogue could ever hope to say. It is also the sort of Bergman-esque, quiet and contemplative, European film that I can only imagine will be more rewarding on multiple viewings. The performances are also wonderfully reserved, especially Agata Trzebuchowska who played Anna and has possibly the most mesmerizing eyes I have ever seen. It all adds up to an incredibly rewarding experience. Go see it if you get the chance. 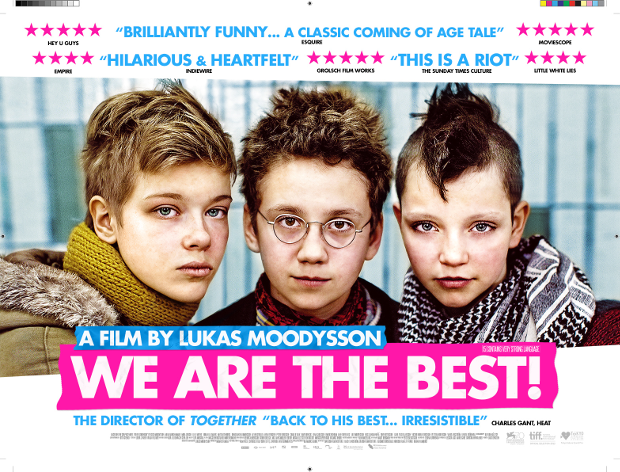 “We Are The Best!”, one of the best films I have seen so far this year, is a wonderful story of youth, rebellion and friendship that perfectly captures the ups and downs of adolescences. The film revolves around three young girls in Sweden during 1982. They are fans of punk, though all their classmates make a habit of telling them it is dead. One winter, after playing around in their youth club’s rehearsal space, they decide to make their own punk band to spread their own message…mainly how much they hate sports. Their conflicts throughout this process are rather inconsequential. One of their parents is divorced and focuses more on men than her daughter; another’s is overly religious and restrictive. They are also often picked on in school, question their looks, and have the usual boy trouble one would expect from a film about a group of thirteen-year-olds. What sets this apart from those other films is that these conflicts, as I mentioned, are shown as just minor bumps in the road for these three; it is their love of music and each other, love that could see them through anything, that shines through. Plus, it is all just a whole lot of fun. It is that wonderful and relatable portrayal of friendship and youth that fills “We Are The Best!” to the brim with warmth and heart. Honestly, if you don’t walk out of the theater with a smile on your face then I can only hope your cold icy heart sees you through the hot summer ahead!! 2) We Are The Best! This entry was posted in Film, Film Review and tagged 2014, Boyhood, Edge of Tomorrow, Enemy, Film, Ida, review, The Grand Budapest Hotel, The Trip to Italy, Under the Skin, We Are The Best!. Bookmark the permalink.